The extensive education and experience of our staff will ensure that you receive the best price for your timber in the current market. Our foresters are highly skilled professionals that will work closely with you to make sure your goals are met. 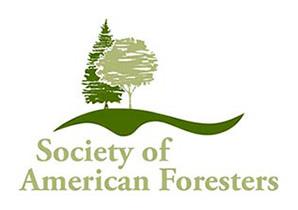 Our Foresters all have degrees and are members of the Society of American Foresters. We will listen! and achieve your goals! We own and manage 41,000 acres of our own land and will treat your land like ours. We serve Northern Ohio, New York, Vermont and Northern Pennsylvania. Some of the services we offer are listed below. Determining the current volumes, values, and growth potential of the timber on your land. These are done as 100% tallies or plot cruises. Did you know that a timber appraisal is crucial if you would like income from timber sales to be treated as capital gains? Call us, we will work with you and your accountant. Extensive experience with timber buyers will ensure that you receive the best price for your timber on the market. The marketplace is global and changes often, give us a call we will let you know what the current situation is like. Professional marking of timber to achieve both the short- and long-term goals for your land. Selective harvest of hardwoods is beneficial for the forest let our foresters help! A partnership to engage in the long-term care for your timberland by executing the original forestry plan and providing continuity of services for subsequent treatments. Lets work together to leave a better future for generations to come.